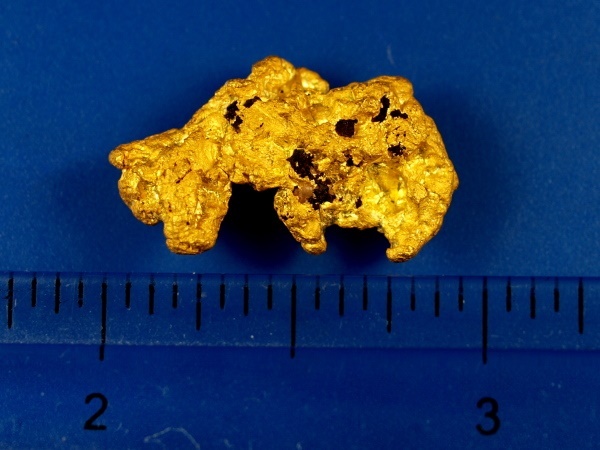 Here is an exceptionally nice piece of natural gold that was found this past winter by a gold prospector using a metal detector in Mohave County, Arizona. 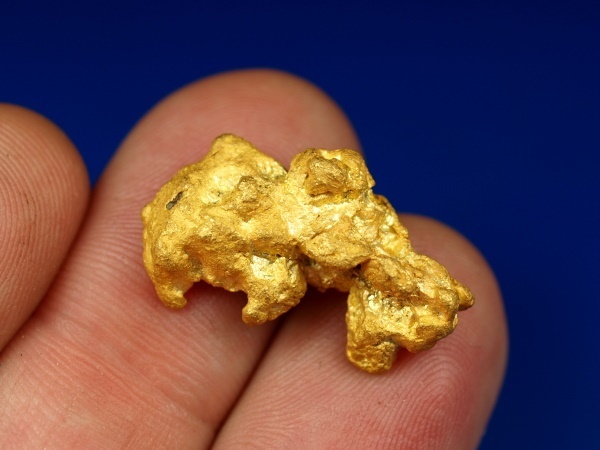 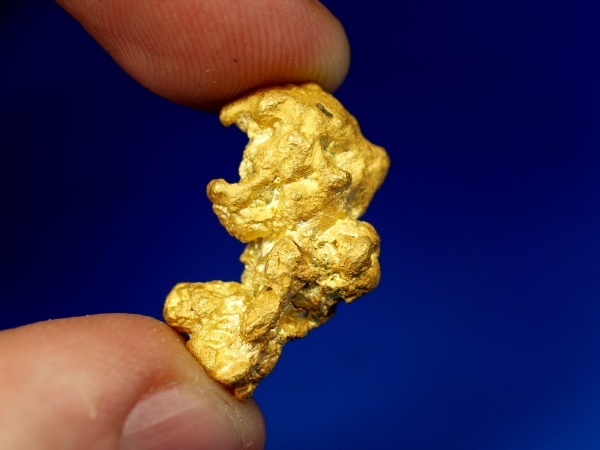 It is a beautiful gold nugget with a nice texture and shape, and small amount of native ironstone visible on one side. 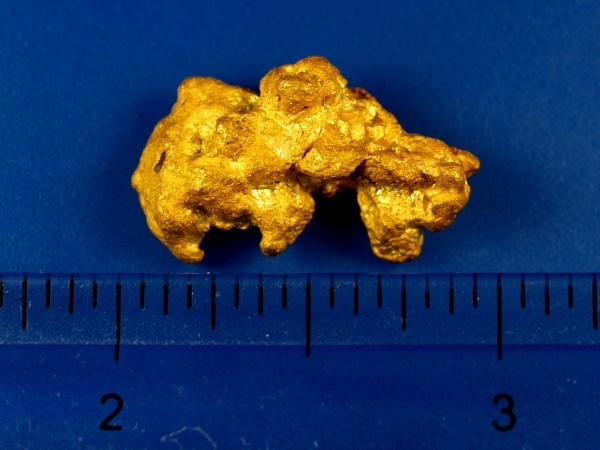 It weighs 12.32 grams and will make a beautiful addition to any mineral collection. 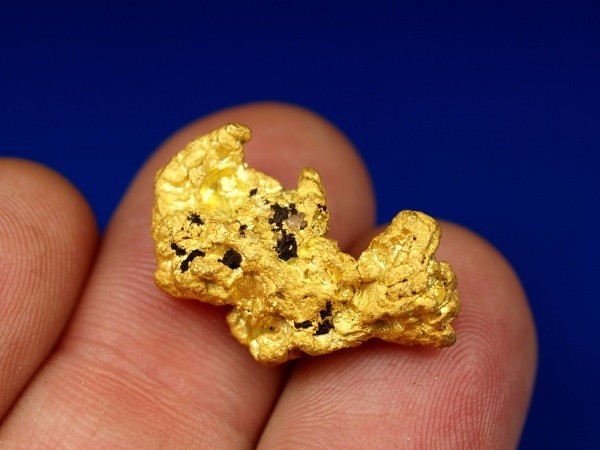 All gold ships for FREE and includes a nice display jar.